UNESCO / Aschberg Bursaries for Artists Programme 2013: Three bursaries will be awarded for a residency session between May 6 and July 1, 2013. 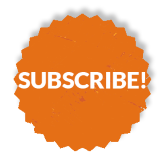 These bursaries are restricted to visual artists, music composers and writers between 25-35 years, born and living in Africa, Asia, Middle East, Russia, the former Soviet Republics, Australia, New Zealand and/or Pacific islands. Applications must be submitted electronically by email to unesco-aschberg@sacatar.org. There is no application fee. For full details, click on APPLICATION at www.sacatar.org. Cultural Exchange International / Municipality of Los Angeles Department of Cultural Affairs: One or two Fellowships will be awarded to artists in any discipline living in Los Angeles County. Applications must be sent electronically to LADCA@sacatar.org. There is an application fee of US$35.00, payable through Paypal. CLAUDIA JOSKOWICZ (BOLIVIA) Claudia, a Bolivian video-artist who teaches in the USA, came to Sacatar through a residency prize awarded at the VideoBrasil Biennial with additional support from the Prince Claus Foundation. She came to work on a screenplay, but the call of Bahia was too strong. She instead created a video based on the legendary life of Maria Felipa, an Itaparican freedom fighter who allegedly repelled the Portuguese soldiers by whipping them with a particularly virulent species of local poison ivy. In addition, at the gallery of the Associação Brasil-Estados Unidos (ACBEU) in Salvador, Claudia exhibited video installations of two previous dual-channel works she shot in Bolivia. FELIPE GÓES (BRAZIL) Felipe Góes, a Brazilian painter, explored the landscapes of Itaparica in reference to the deceased composer Dorival Caymmi, whose biographer Marielson Carvalho came to Sacatar to share his insights with Felipe. JYOTI MISTRY (SOUTH AFRICA) The video artist Jyoti Mistry came to work on a project about the jacaranda tree, which has fully colonized the city streets of her native South Africa while becoming regionally extinct in its native habitat of Bahia, Brazil. However, Jyoti shifted her focus to videos, exploring the theme of Yemanjáand Oxum, the locally venerated African deities of salt and fresh water respectively. 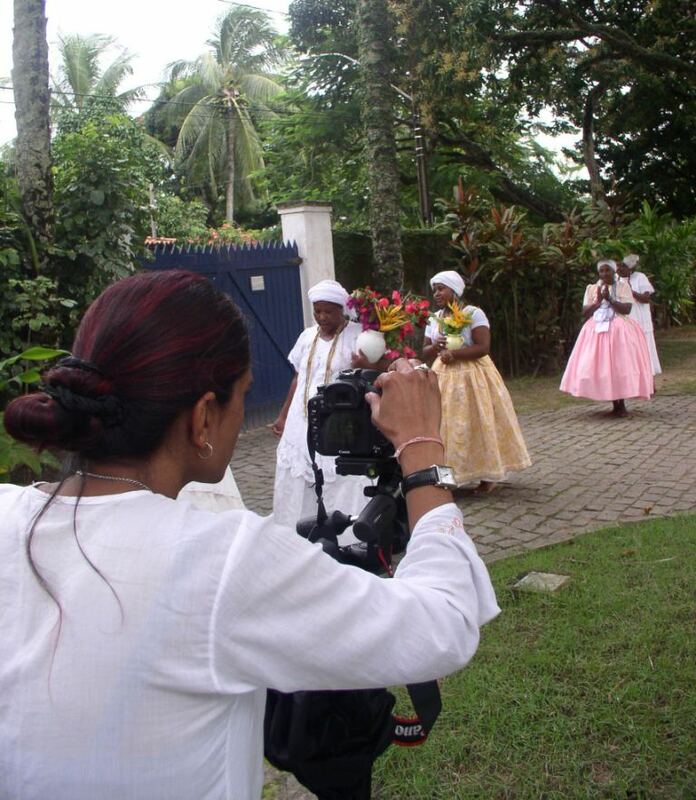 Claudia shot video at various locations around the island with the assistance of local baianas and dancers. At the conclusion of her residency, Jyoti expressed interest in returning to her original proposal regarding the jacaranda tree, wishing that seeds from South African jacarandas could soar across the Atlantic to restore the groves in the ancestral soil of Bahia. LINDA YUDIN (USA) Linda Yudin, American ethnographer/choreographer and recipient of a Fellowship co-sponsored by the Los Angeles Department of Cultural Affairs, interviewed elderly candomblé priestesses with whom she has worked over the last thirty years and videotaped the priestesses showing the dances of the orixás, the African deities of the candomblé religion. The priestesses each spent short periods living with the artists in residence. SIGITAS STANIUNAS (LITHUANIA)Sigitas Staniunas, a Lithuanian painter, returned ten years after his first residency. During a brief 30-day stay, he produced 26 oil paintings and 4 acrylic banners. He created two paintings during a performance with live musicians on the streets of Itaparica (photo above) and shared his work at an exhibition at the Itaparica Library and Cultural Center. 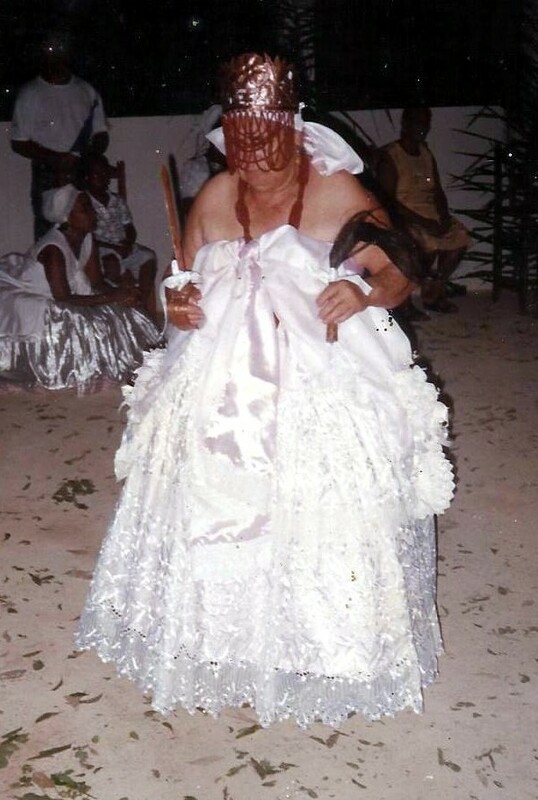 On August 18, 2012, I lost my grandmother, Benedita Vilaça, the mãe de santo (candomblépriestess) of the humble, in Itaparica. To speak of my grandmother fills me with pride. She was mother and father to many, including me and my family. I never heard of a mãe de santo who took care of so many people. Me and my five brothers, after the death of my mother, went to live on the land of my ‘grandmother’ Benedita in Misericórdia (a subdistrict of Itaparica). I was six years old. 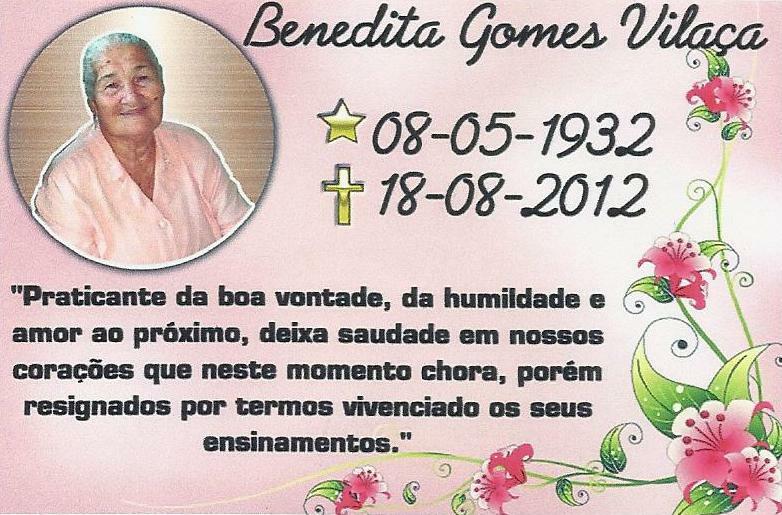 My grandmother Benedita simply sent for the rest of my family to also come live with her. On her land she raised children, grandchildren, relatives and even strangers. My grandma, she was very special. Her house always had thirty to forty people in it and, at times of festivals, twice that number. I have a very special love for her. She was my mother and my grandmother. She raised me well. My admiration for her is so great because she had such a big heart. She did not like to see anyone going through difficulties. She helped lots of families in Misericórdia. And the most interesting, she never did anything bad to anyone. I miss her stories, her way of speaking, as only she did. Her wisdom and her love for everyone. We will always hold her dear in our hearts. I love you, grandma. May God and the orixás protect you forever. Omara and Korean Fellows of the R.ecnad group. Omara is the founding director of the Oficina de Artes, a self-funded grassroots cultural center in Itaparica. In addition to a capoeira academy that Omara leads, the Oficina provides classes in dance, theater and visual arts at low- or no-cost to the children and teenagers of Itaparica. Our manager Augusto volunteers there, offering free English classes. And there is a cine-club, which screens free films every Friday night. The Sacatar artists frequently collaborate with the Oficina: as students of capoeira themselves; as workshop leaders in visual arts, literature, circus arts and theater; and as partners in community-based art installations and events. When was your first experience with Sacatar?Omara: Ten years ago, with a group of young actors from the Oficina. It was a fantastic experience for me and for the kids who participated. What has been the relationship between the Oficina and the Sacatar artists?Omara: It has been a marvelous relationship and of great importance to the Oficina. Our children and young adults and their families have been very fortunate; all have memories of experiences that they will cherish for the rest of their lives. Can you mention a particular moment from these years of ongoing collaboration?Omara: It is very difficult to pick just one. There have been many unforgettable moments. But I can pick two that were particularly magical and special to me: the children’s play, The Lost Moon of Itaparica, written and produced by MYRONN HARDY (USA, 2002) and the dance pieceRenascimento choreographed by DANIEL GWIRTZMAN (USA, 2003) and presented at the Teatro Gregório de Mattos in Salvador. What is the importance of the partnership between Sacatar and the Oficina de Artes?Omara: The partnership stimulates the children and teenagers of the Oficina to develop new perspectives on life and to seek a future of personal success. 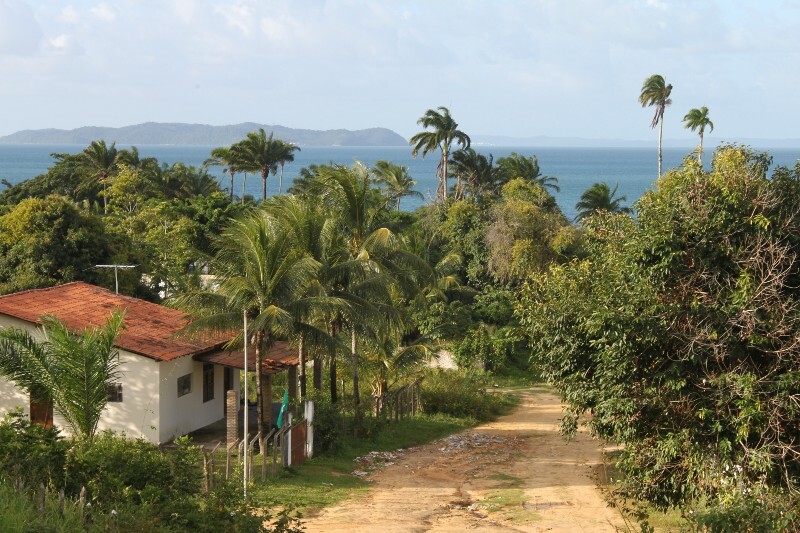 In your opinion, what does it mean to the town of Itaparica that the Instituto Sacatar chose to establish itself here?Omara: Sacatar provides opportunities for significant cultural exchange between the resident artists and the local community. Sacatar is a valuable presence, stimulating the community to contribute to and play an important role in the various projects the Sacatar artists bring, as well as providing an opportunity for the local community to share its knowledge and customs with artists from other countries. Local young people have the opportunity to perfect their skills and to reveal their artistic aptitudes. From this contact I am convinced that some will strive for a different future, far different than the majority of young people born and raised here who follow the same paths as their parents and grandparents before them. In a land with few opportunities for work and where education is a secondary concern, having contact with other cultures and with people who live their art and love their art is a great stimulus to these young people, encouraging them to think and act in a different and more positive manner. Here is an incomplete sampling of recent news from former Sacatar Fellows. We regret we can’t publish everything we hear from former Fellows, but we love to know what you all are up to, so please stay in touch! BARB CERVENKA (USA, 2000)Barb Cervenka, visual artist and educator, was one of the ‘guinea pigs’ who test-drove Sacatar before the residency program began, way back in 2000. Her organization Con/Vida has received a major grant from the National Endowment for the Humanities for the exhibition Bandits & Heroes, Poets & Saints – Popular Art from the Northeast of Brazil, which will open at the Charles H. Wright Museum of African American History in Detroit in 2013. With a focus on the rich heritage of African, European and indigenous peoples in Brazil, the exhibition will include prints, woodcarvings and paintings by local artists from Brazil’s northeast. The Michigan Council for the Humanities has provided further funding for the show, which will travel to Chicago’s DuSable Museum of African American History, to the Robert W. Woodruff Library at the Atlanta University Center, and to the International Civil Rights Center and Museum in Greensboro, North Carolina. CARLOS ESTEVEZ (CUBA>USA, 2003) Carlos exhibits Memorabilia at the Panamerican Art Projects in Miami, Florida, USA, from 7 September through 3 November 2012. 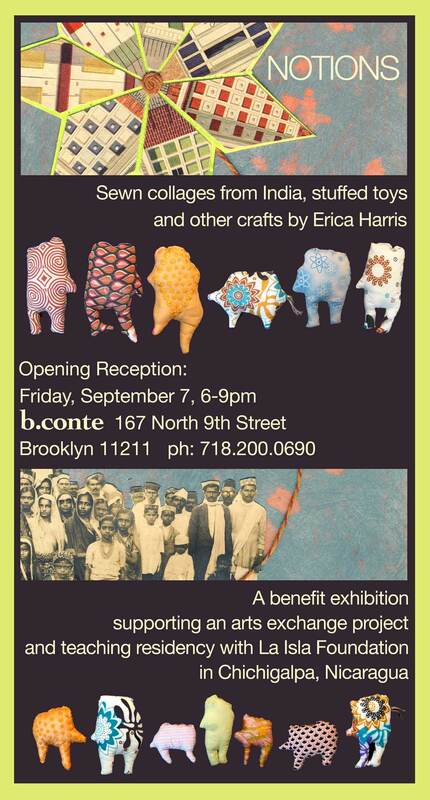 ERICA HARRIS (USA, 2007) Erica announces a benefit exhibition Notions: Sewn Collages from India, Stuffed Toys and Other Crafts in support of an upcoming arts exchange project and teaching residency with La Isla Foundation in Chichigalpa, Nicaragua. The exhibition runs from 7 September 7 through 25 October at b. conte,167 North 9th Street, Williamsburg, Brooklyn, New York, USA. 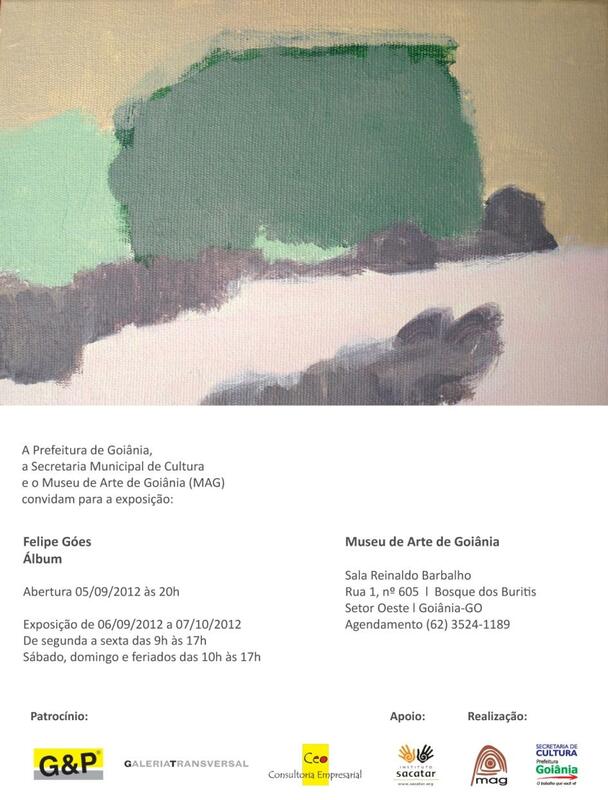 FELIPE GÓES (BRAZIL, 2012) exhibits paintings produced during his recent Sacatar residency at the Museu de Arte da Goiânia in Goiânia, Brazil, from 6 September through 7 October. OLEK (POLAND>USA, 2009)The visual artist exhibits Knitting is for Pus**** as part of the 40 under 40 show at the Smithsonian American Art Museum in Washington, DC, United States, from 20 July 2012 to 3 February 2013. The alligator in the photo above, Crocheted Jacaré, was Olek’s gift to the people of São Paulo, Brazil, which she exhibited from 19-29 July at SESC/Interlagos. Crocheted Jacaré is a multicultural mix: a combination of Red Heart 100% acrylic yarn from North Carolina, Brazilian ribbons and the playground designed by Márcia Maria Benevento. PAT OLESZKO (USA, 2008) Pat will be one of the Master Artists in residence at the Atlantic Center for the Arts in New Smyrna Beach, Florida, USA, from 18 February through 10 March 2013. Artists interested in having the opportunity to work with Pat must submit their applications on or before 18 November 2012 atwww.aca.org. Information regarding financial assistance to attend residencies is available on line. 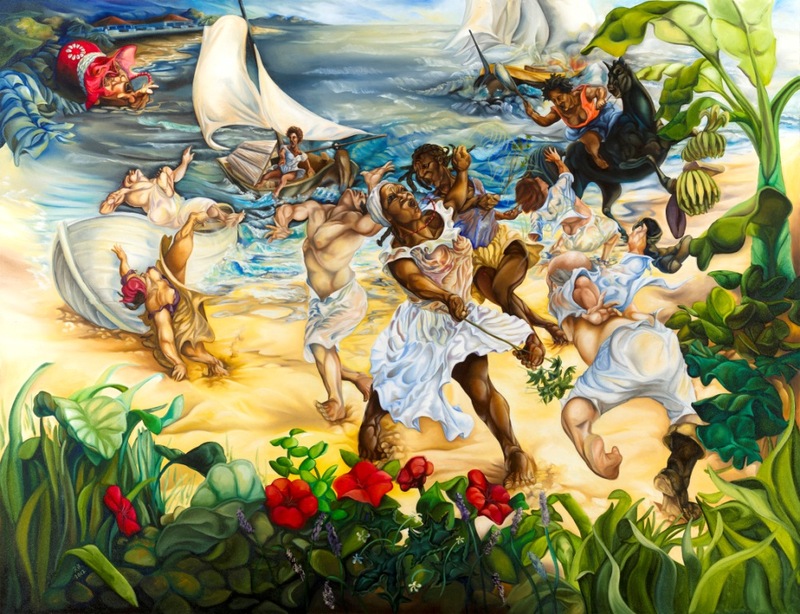 RIK FREEMAN (USA, 2011) Rik, upon leaving Bahia, promised to donate a large-scale painting of the legendary heroine Maria Felipa, who drove the Portuguese from the island of Itaparica by whipping them with poison ivy. Rik has completed the painting, which will be digitally reproduced at the scale of 2,40m x 4,00m and installed as a permanent backdrop to the stage of the Itaparica Library and Cultural Center. The official unveiling will be on 9 November 2012, the anniversary of the library’s inauguration. SOOK JIN JO (KOREA>USA, 2001 and 2007) Sook Jin Jo exhibits in a group show, Bridges Not Walls, at the Maier Museum of Art on the campus of Randolph College, in Lynchburg, Virginia, United States, from 31 August through 7 December 2012. STACEY STEERS (USA, 2006) exhibits the Night Hunter House at the Hood Museum of Art on the campus of Dartmouth College, Hanover, New Hampshire, USA, from 25 August through 16 December 2012. SUZART (BRAZIL, 2000)Suzart, like BARB CERVENKA (USA, 2000) mentioned above, came to Sacatar as a ‘guinea pig’ before the residency program was launched. 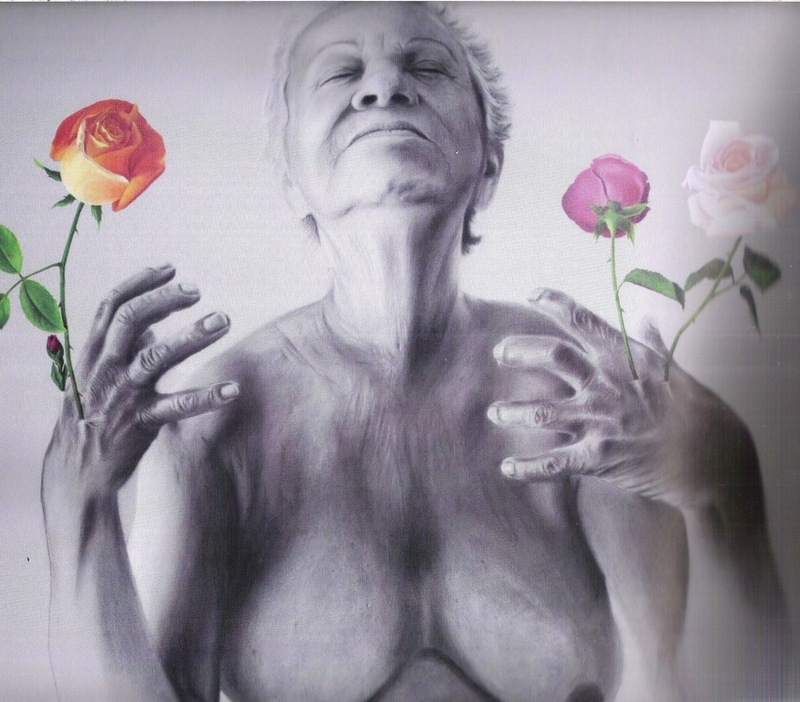 His exhibition Sonhos e Recôncavo can be seen at the Caixa Cultural in Salvador, Brazil, from 8 August through 23 September 2012. The exhibition will travel to the Caixa Cultural in São Paulo at the end of the year. The Instituto Sacatar is a Brazilian non-profit organization that receives substantial funding from the Sacatar Foundation, a US 501(c)3 non-profit, and through partnerships with other cross-cultural organizations and funding programs around the world. Mitch Loch, president of the Sacatar Foundation, will attend the conference of the Grantmakers in the Arts in Miami, Florida, USA, from October 14-17, 2012. At the conference Mitch will meet with directors and executives of other US-based institutions that, like the Sacatar Foundation, provide grants for individual artists and other arts programs. Mitch also plans to view the exhibition of CARLOS ESTEVEZ (CUBA>USA, 2003) at the Panamerican Projects, mentioned above in News of Fellows, and to tour the exciting new residency program of the Rauschenberg Foundation in development in Captiva, Florida.